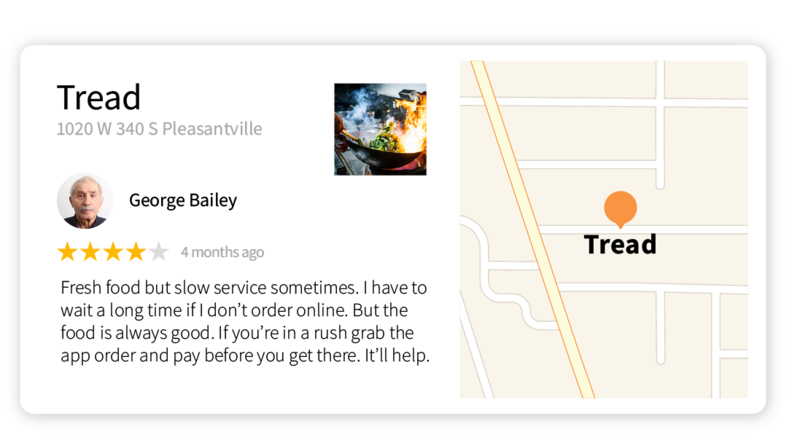 Your customers share their experiences on social media. And your potential customers use those reviews to decide if they want to use your services. 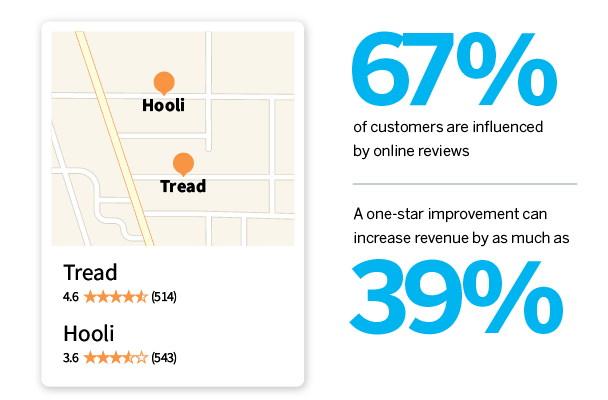 67% of customers are influenced by online reviews1, and a one-star improvement can increase revenue by as much as 39%2. Qualtrics helps you identify trends in your brand’s online reputation by pulling in social data from key sites automatically, proactively solicit positive reviews, and close the loop publicly with detractors. 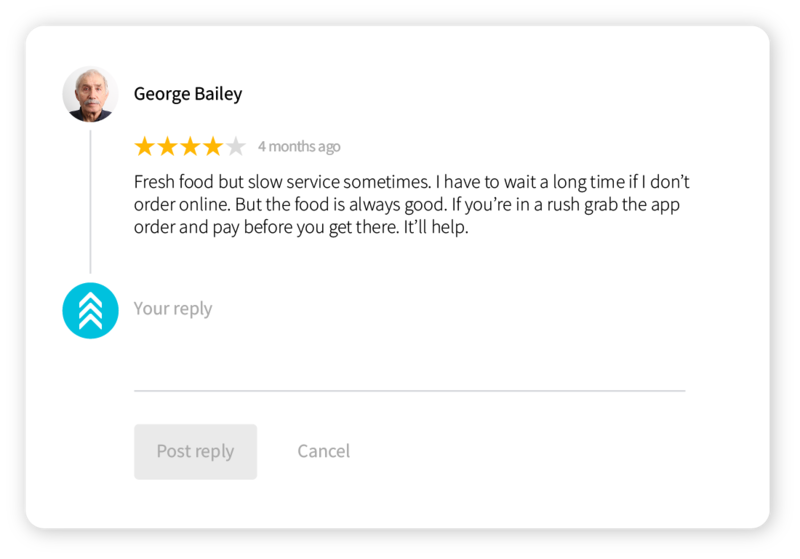 Help your customers tell others about their experience by designing feedback surveys in a way that prompts users to post a review on social channels. Frequent reviews lead to better search ranking and ultimately, more foot traffic. By encouraging customers to review your products and services in the moment, you can effectively amplify the impact of their experiences. The most actionable insights are often hidden deep in your customer’s social reviews. 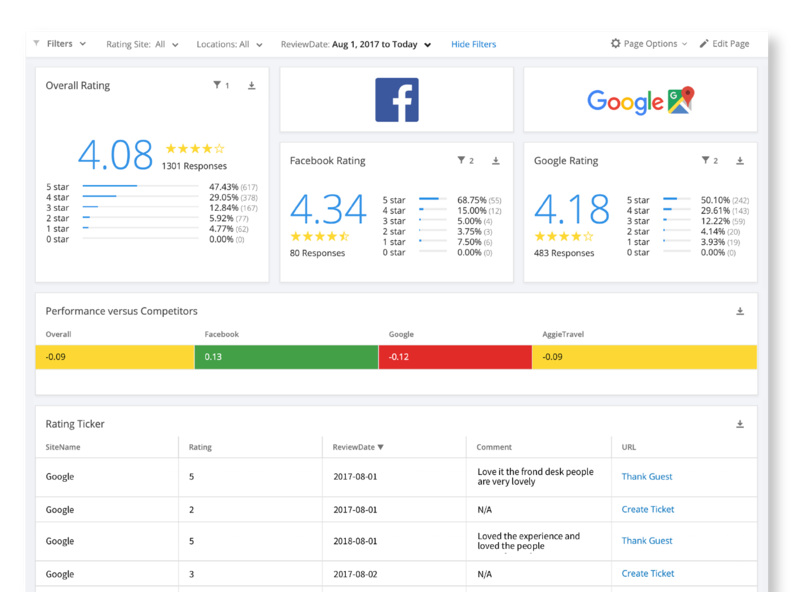 View key topics and sentiment in online reviews and dive into relevant verbatim responses for deeper insights using Text IQ to see what, in your customers own words, matters most. 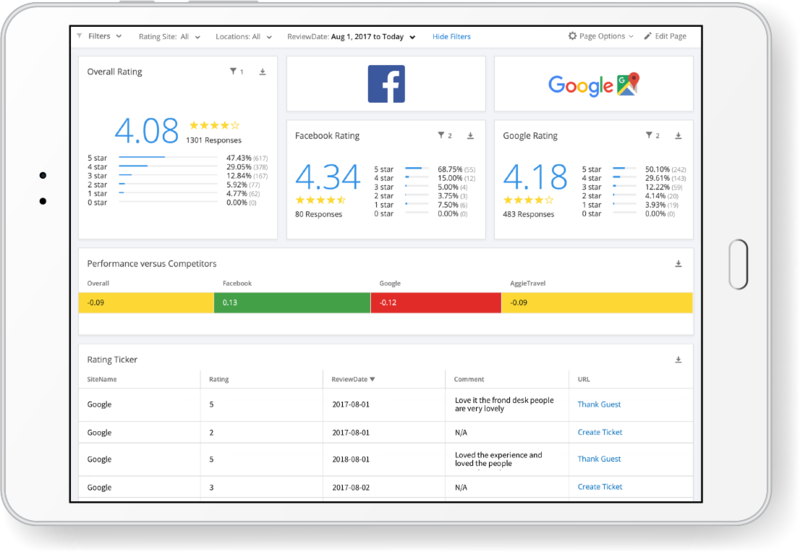 Monitor and analyze key trends in your online reputation by location, see how it impacts your key customer experience metrics, and understand how you compare to the competition. 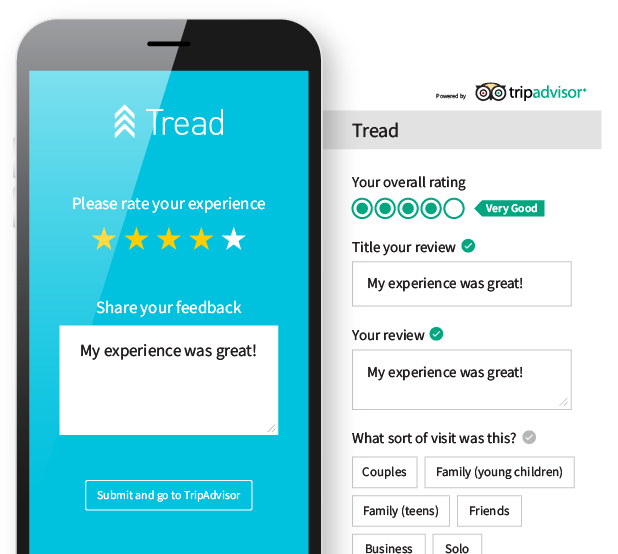 And, with your online reviews on the same platform as your email, SMS, voice, chat and other customer experience data, you can connect the dots between channels and get a bird’s eye view across the end-to-end digital experience. Ready to improve your online reputation? Responding to detractors goes a long way to soften the impact of a negative experience. With Qualtrics, now you can easily identify negative reviews and set up automated tickets with your internal teams to directly respond on the same platform to help solve the issue. Search for any brand online and you’ll find a wealth of reviews, both good and bad. The impact of consumers’ social media comments on a brand’s products and services is huge, and companies are increasingly using online reputation management tool to monitor, analyze and respond to consumer comments in social media. The practice of reputation management involves putting the tools, systems and processes in place for brands to monitor what consumers are saying about them online, spot trends, identify areas for improvement and respond directly to customers to address any issues they may have. As well as responding to negative comments and taking control of the conversation around your brand in social media, online reputation management also allows brands to solicit positive reviews by encouraging happy customers to leave comments on social media, often combining it with their customer experience program to follow up with ‘promoters’ and asking them to share their feedback.